As I mentioned on Tuesday's Over & over post, this week's designs are all of a romantic theme in honour of Valentine's day this weekend! I wanted to use song lyrics this week, so chose a lovely line form Tenerife Sea by Ed Sheeran. Jamie and I love his music, so it seemed appropriate for Valentines! 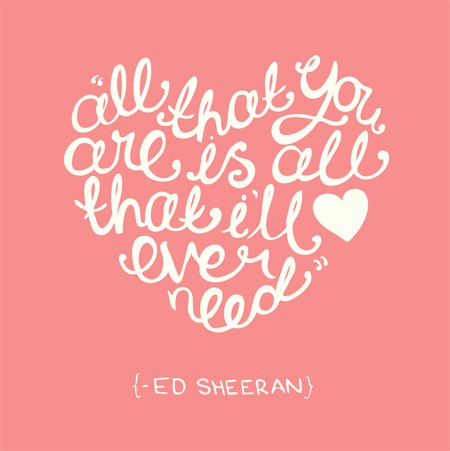 "All that you are is all that I'll ever need"